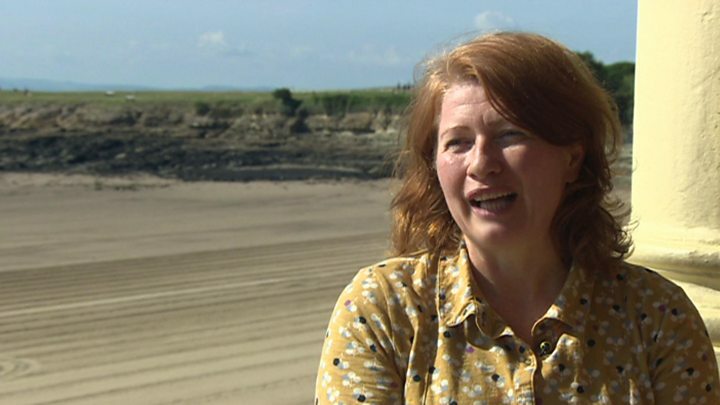 Wales-based author Belinda Bauer has criticised the "snobbery" surrounding her inclusion on the longlist for the prestigious Man Booker Prize. 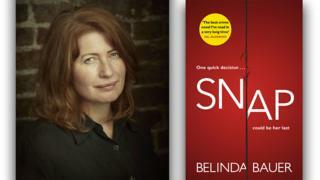 Ms Bauer has been nominated for her crime novel Snap which was inspired by the 1988 murder of Marie Wilks. The judges have been accused of "jolts of populism" for including crime fiction on this year's longlist. But Ms Bauer said she had "expected more" criticism, adding it was unfair to "marginalise any genre of fiction". The real life murder of the heavily pregnant Mrs Wilks on the M50 was a "catalyst" for Snap. She was killed after leaving her young sister and baby son in their broken-down car on the hard shoulder and walking to a telephone box to call for help. Her body was found about three miles away. Ms Bauer, who lives in the Vale of Glamorgan, said: "What people remember about that case is the fact that the child walked up the hard shoulder of a motorway with a baby over her shoulder, and nobody stopped to help her, so I just took that up as a jumping-off point for my story." She said she was not attempting to mirror real-life events. "Quite often real life can be a catalyst, or an inspiration. But I will almost immediately take that and start to invent around it, so that I never stray into the area of doing something that is too real. I don't want to base it on a factual case," she added. While Man Booker Prize judges have traditionally shied away from crime fiction, Ms Bauer said she was unsurprised at the reaction from some critics to her inclusion on the longlist. "You know what, there has been some snobbery about it. To be honest, I expected more. I don't understand it, because I think the important thing is that people read. I don't care what people read, they can read the back of a cereal packet for all I care," she said. "And I think that to marginalise any genre of fiction, whether it is literary, or crime, or romance or anything is really just to reduce our reading options. "I think that is unfair on people who may enjoy all sorts of things that I don't particularly enjoy. I wouldn't restrict your choices, so why restrict the choices of people who are interested in reading great books?" Ms Bauer was born in Kent and raised in South Africa. She came to Wales to study and work as a journalist, including for a period at the Western Mail, before pursuing a career in screenwriting. Her debut novel Blacklands was published in 2009 and won the CWA Gold Dagger for Crime Novel of the Year. Previous winners of the Man Booker Prize include Iris Murdoch, Salman Rushdie, Ian McEwan and Hilary Mantel. Pembrokeshire-born novelist Sophie Mackintosh was also longlisted for her debut The Water Cure, which judges described as a "chilling, beautifully written" book which asks "what it means to survive... in a man's world". The shortlist for the prize will be announced on September 20, with shortlisted authors receiving £2,500 and a specially bound edition of their book. The overall winner of the Man Booker Prize for Fiction will win £50,000 and is likely to see a huge boost in sales. Last year's winner, Lincoln in the Bardo by George Saunders, saw its sales figures increase by 1,227% after the prize was announced.